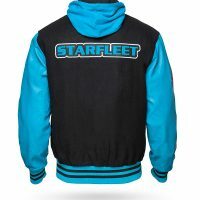 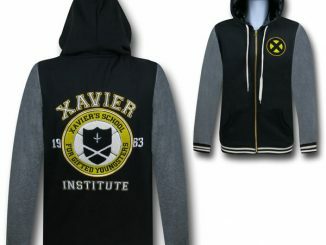 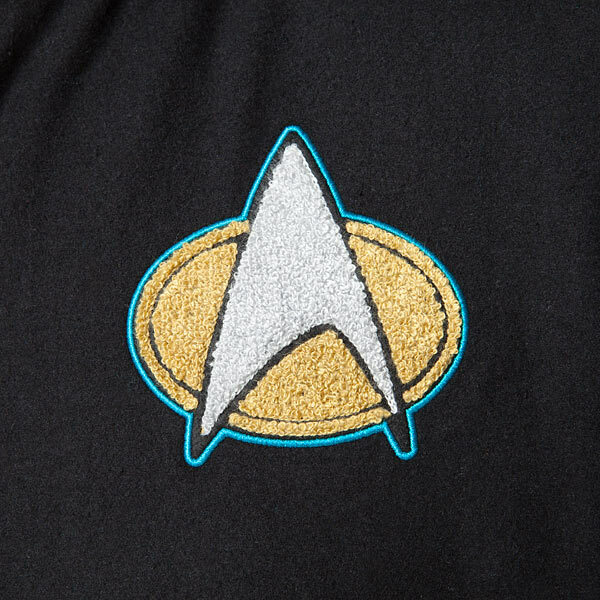 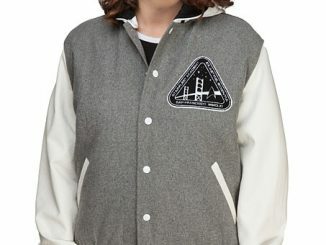 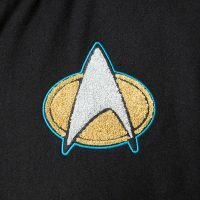 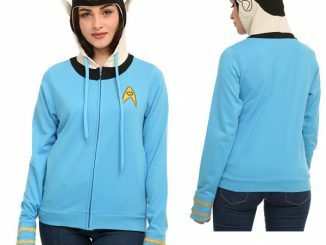 This Star Trek The Next Generation Varsity Hoodie is what all Starfleet cadets are wearing this year. You can choose from Blue (Science), Red (Command), or Gold (Operations). 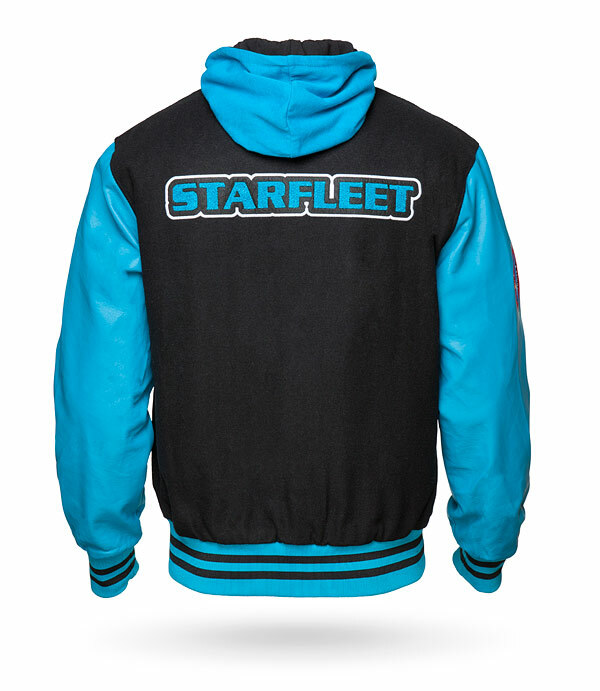 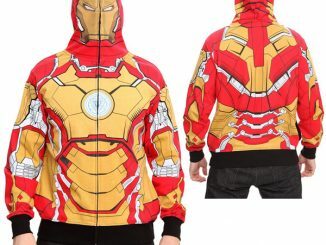 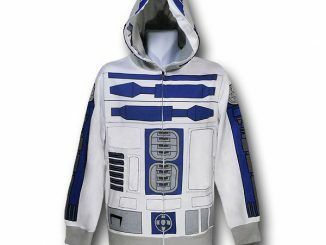 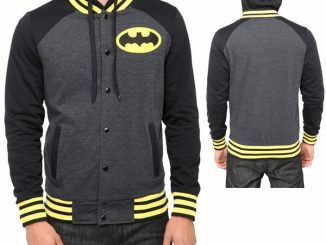 It features a chenille combadge patch on the chest and the jersey hood buttons into the neck for easy removal. 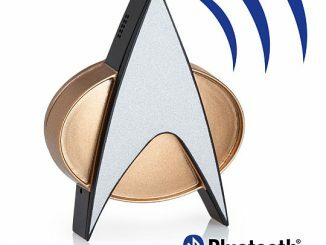 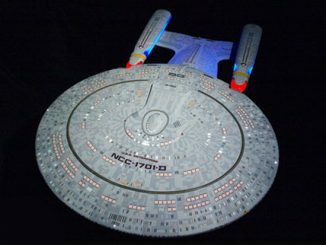 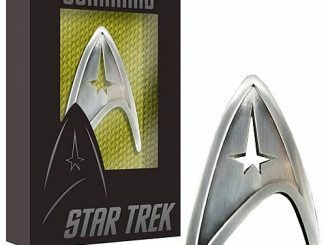 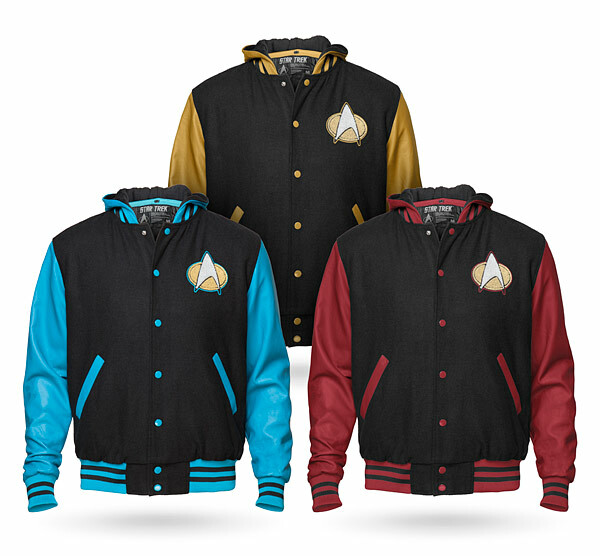 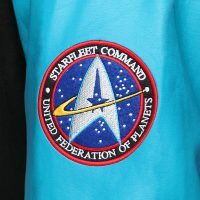 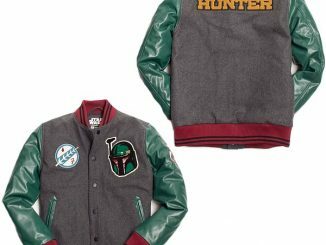 Attend Starfleet school in style.